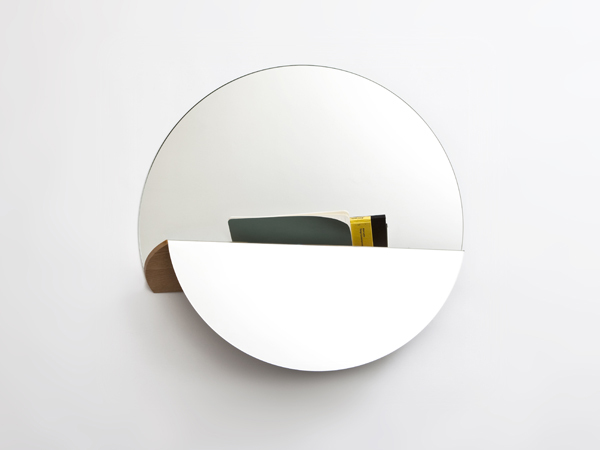 French designer Fanny Dora's first collaboration with Super-ette resulted in a surprising mirror. 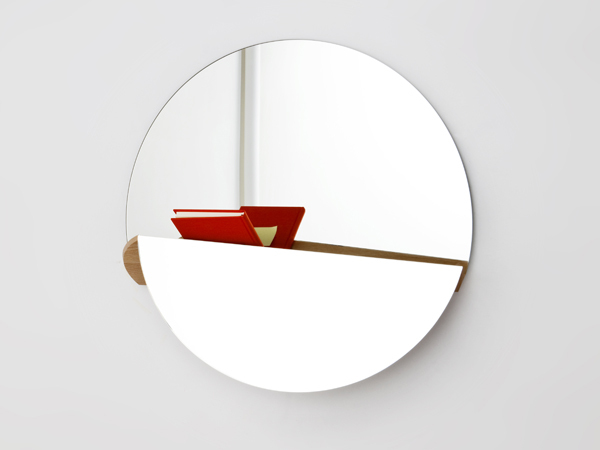 The viewer's perception is deceived by an anamorphic trick: the mirror looks like any other round mirror when seen from the front, but as soon as you move to a different angle, a wooden shelf is revealed. 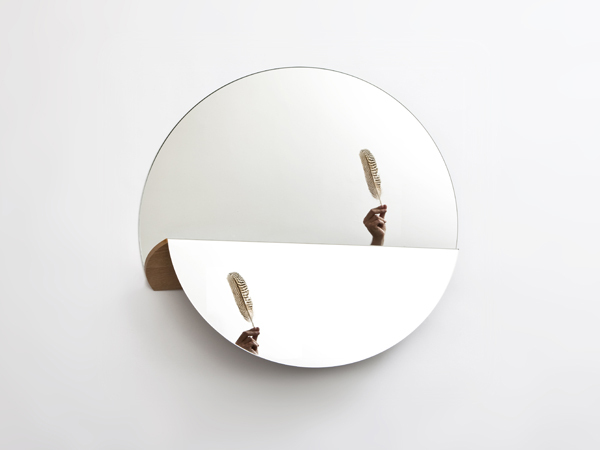 Small belongings can be stored directly on the mirror, for easy make up touches or quick hair fixes. 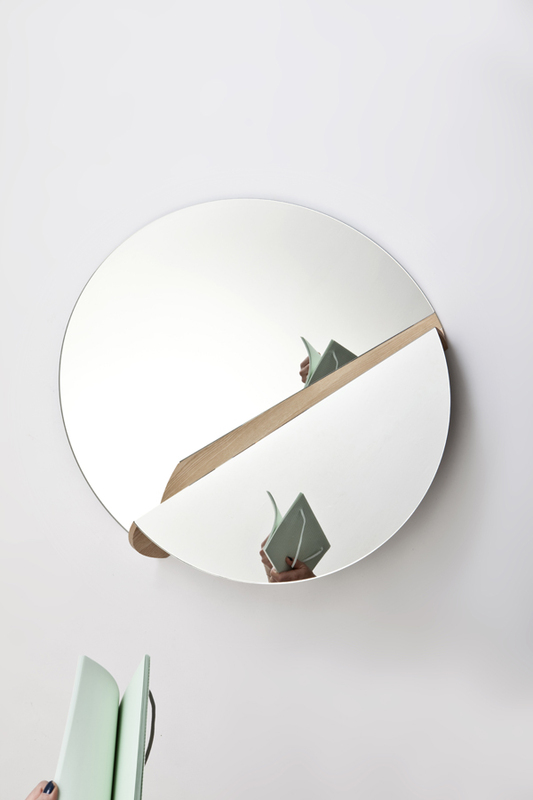 WGSN-homebuildlife subscribers can read our full report on mirrored surfaces here.